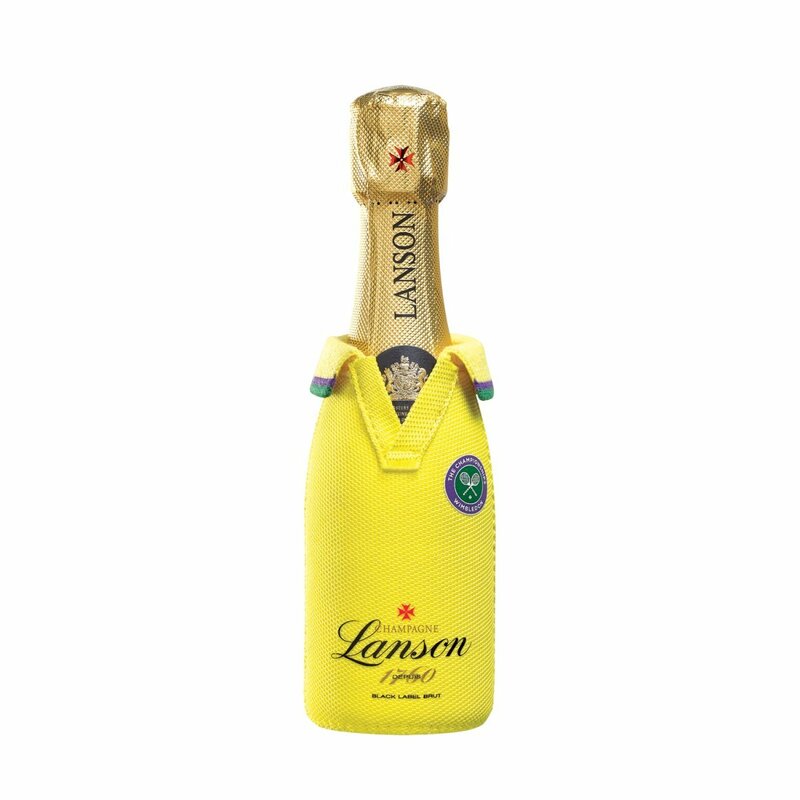 The Wimbledon neoprene t-shirt with a tennis ball zipper at the rear, can keep the bottle chilled for up to 2 hours. Mini Lanson Black Label Brut: - 20cl A quality Champagne loved the world over and is a showcase for the ideas and character of those making it. 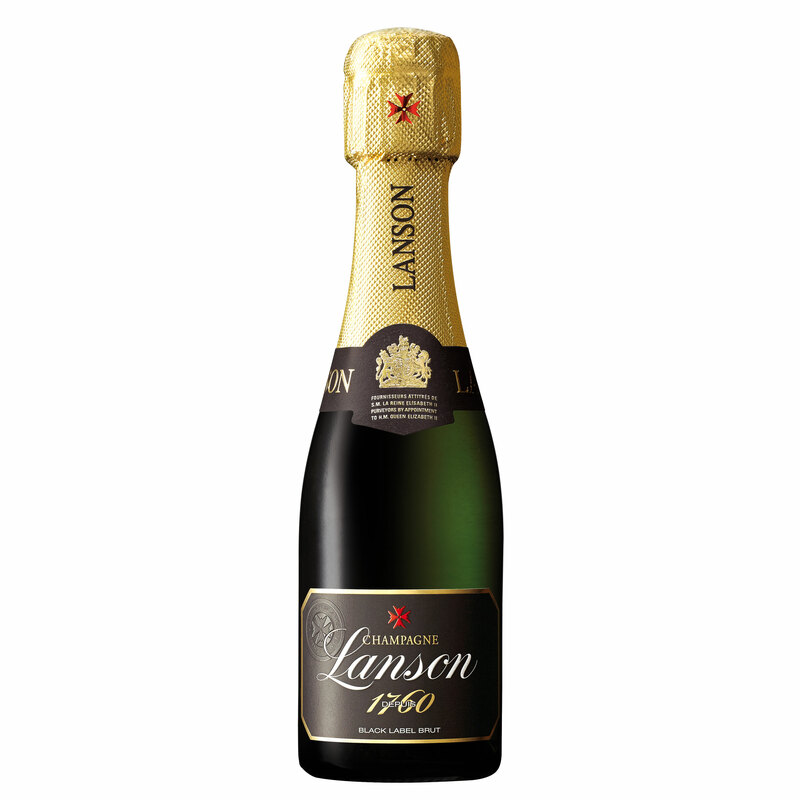 Three grape varieties come into making of Lanson Brut: Pinot Noir and Pinot Meunier (black grapes) and Chardonnay (white grapes).